Happy almost 4th of July! I am currently up in Harbor Springs (Michigan) with the fam. If you couldn’t tell by the title. I told my dad to think up something creative and that was his suggestion…sure. I drove up on Friday morning, so let’s recap from there. Friday night I stopped at my all time favorite grocery store up here, the Grain Train. I bought awesome stuff like pumpkin seed butter and hummus crackers and other random things. My dad, brother and brother’s friend Brooks were still on their way up, so my mom and I went to dinner at the clubhouse here. We both had my all time favorite salad, the Warwick! 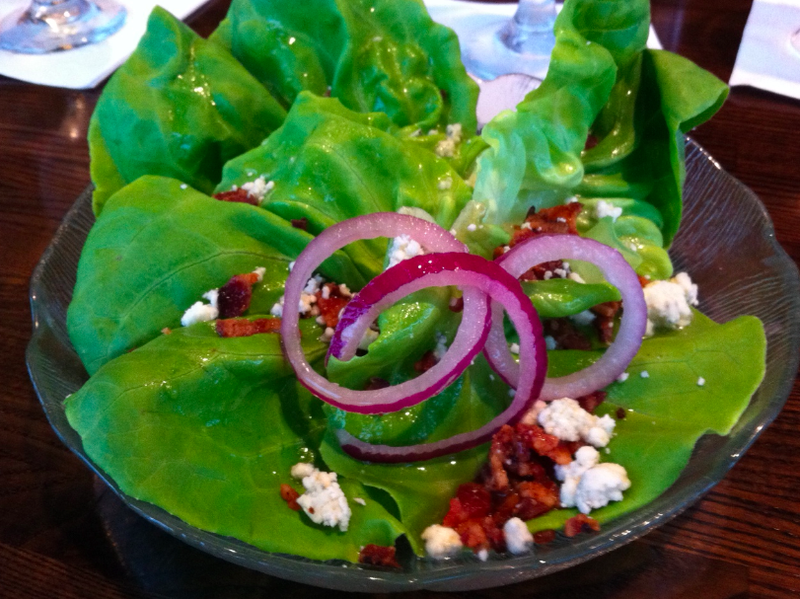 Bibb lettuce, blue cheese, red onions and bacon. 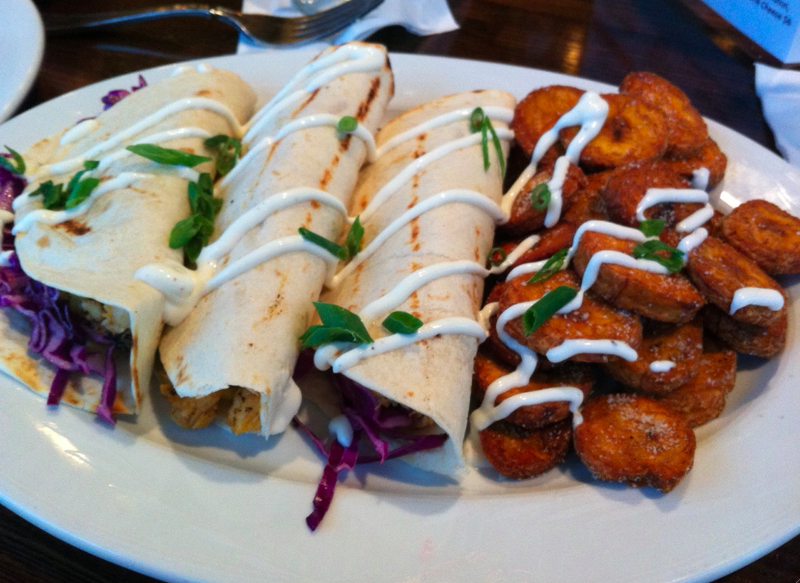 The fish tacos were not very good, they were just really bland. They came with plantain chips which I was really excited about but they weren’t that great either. The chicken and grits however, were awesome. I ate almost all of the chicken–minus one small bite that my mom had, and she ate almost all of the grits. Saturday we started the morning with a run. 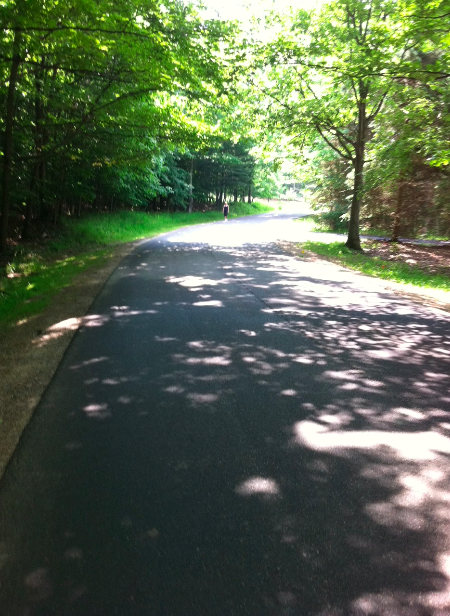 The loop by our house is a little over 2 miles give or take and filled with hills. 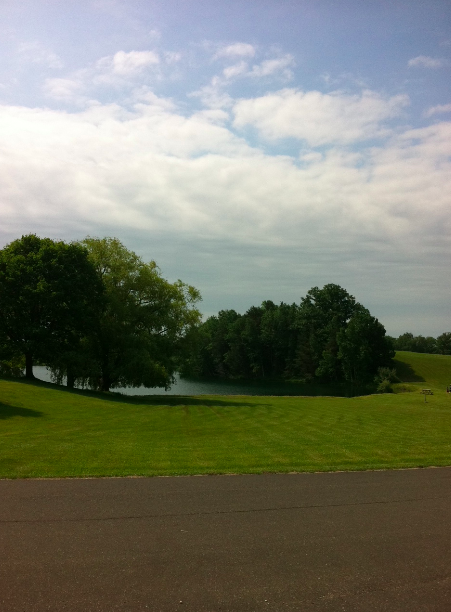 It is a good run but the hills are huge and steep and we usually walk those parts. I did the loop once by myself and then came back for my mom to do it one more time. We have the same shoes, but let it be known that I got mine first. When we went to the running store, the guy pulled them out for my mom as one of the best choices for her. I told her I had the same and liked them so now we are twins. Pretty view, huh? 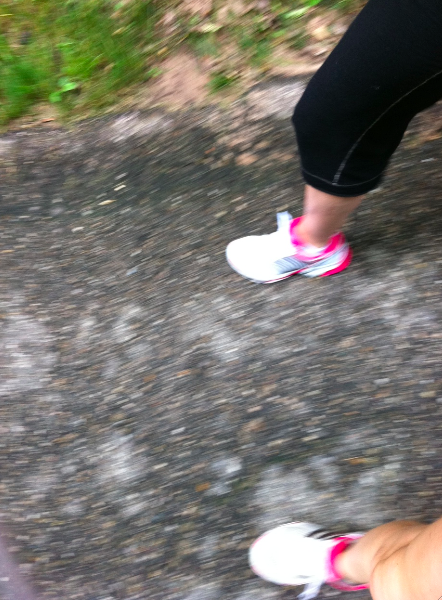 That is my mom, left in the DUST because I’m such a speed demon. When we got back, we made lemon ricotta pancakes. 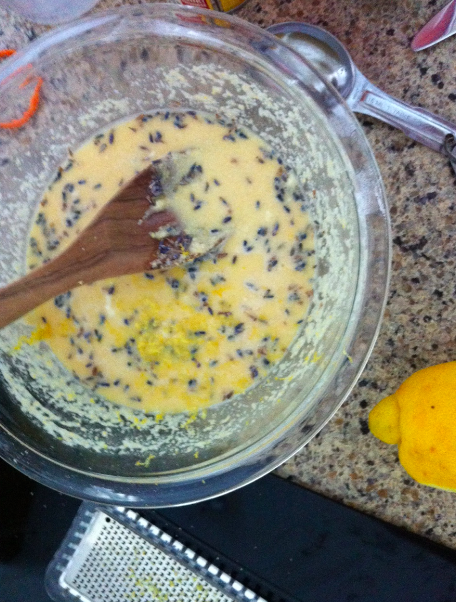 I actually made lemon ricotta lavender pancakes. I used a brown rice and chickpea flour mix, and everyone else had ‘normal pancakes’ made with white flour. Everyone (except me) did a taste test to see which ones they liked best and agreed that although the flavor of mine were good, they didn’t know if they loved the texture. 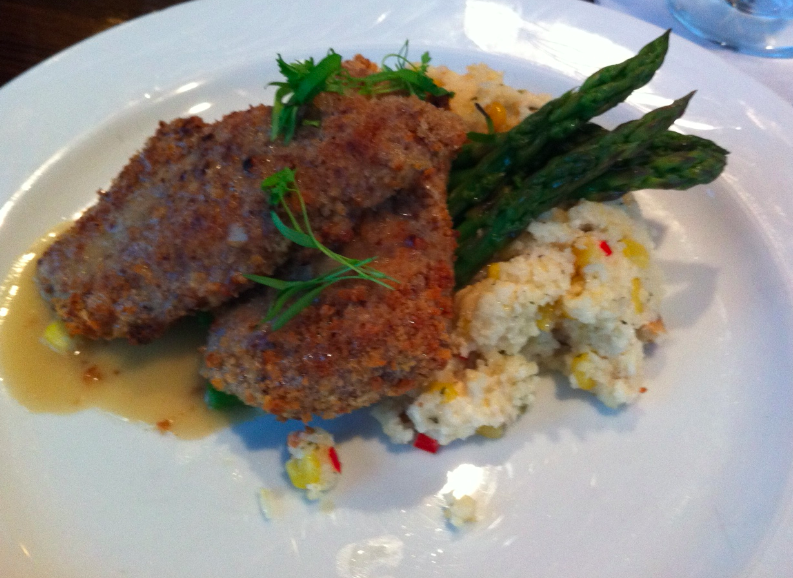 My mom and I both agreed that the texture was good….they tasted almost like cornmeal pancakes and were a little thicker. Really delicious! The recipe for both the gf and the ‘normal’ version will be posted in the next couple of days. We also had sausage with the pancakes but I didn’t get a pic of those. The only problem that I have with pancakes is that they don’t really fill me up. I ate 5 pancakes and 5 sausages!! And still was not full. I guess I had just run 4 hilly miles but still, that’s a lot. My mom and I opted out of golf yesterday to go shopping instead. Great decision! We both had a lot of luck and got some new clothes, a new pair of sandals (each) and a few other things. We stopped to buy a whole bunch of Tom’s Mom’s Cookies on the way home. Tom’s Mom’s are famous (at least locally) and are extraordinarily delicious. They have a ton of flavors but we usually stick with original chocolate chip. You can taste the butter in each bite. Good for a occassional treat though! 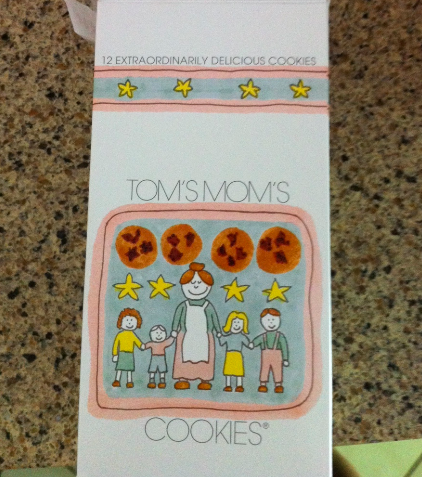 Oh look, Tom’s Mom describes her cookies as extraordinarily delicious too! What a coincidence. Dinner was another delicious recipe that will be posted soon. We spent today at the pool which was great and exactly what I wanted to do (yesterday was cloudy). 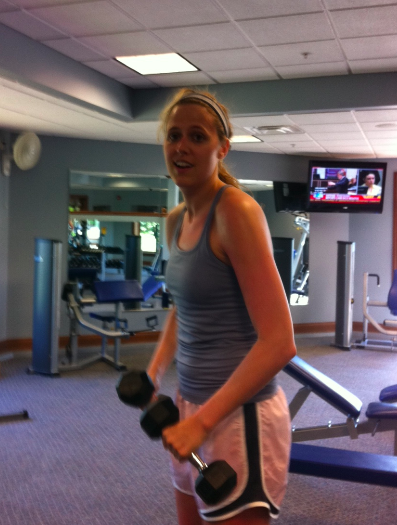 Then my mom, dad and I hit up the weight room to pump some iron. 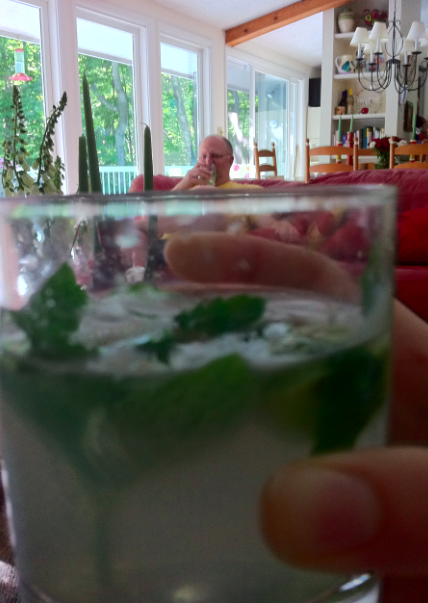 Now I am sipping on a mojito but I have to go attempt to shower and get ready to go to dinner, although it is going to be painful because I am super burnt. Have a good night and happy 4th! See you tomorrow! 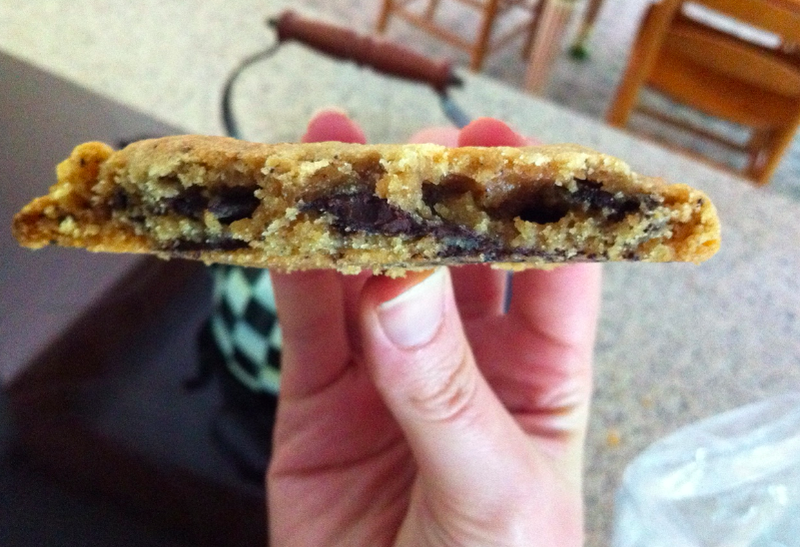 I love this blog…AND Tom’s Mom’s cookies are the absolute BEST. Chocolate chip is my favorite as well, speaking from a self appointed choc chip cookie connosieur.